Thinking Italian Translation is an indispensable course for students who want to develop their Italian to English translation skills. up-to-date examples and new source texts from a variety of genres, from journalistic to technical. The course is practical, addressing key issues for translators such as cultural differences, genre, and revision and editing. At the same time, it clearly defines translation theories. 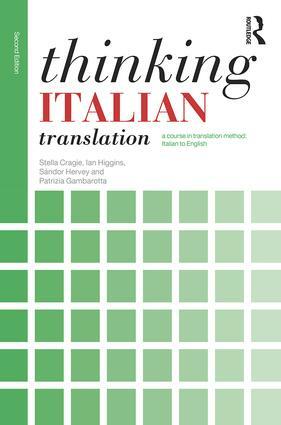 Thinking Italian Translation is key reading for advanced students wishing to perfect their language skills or considering a career in translation.